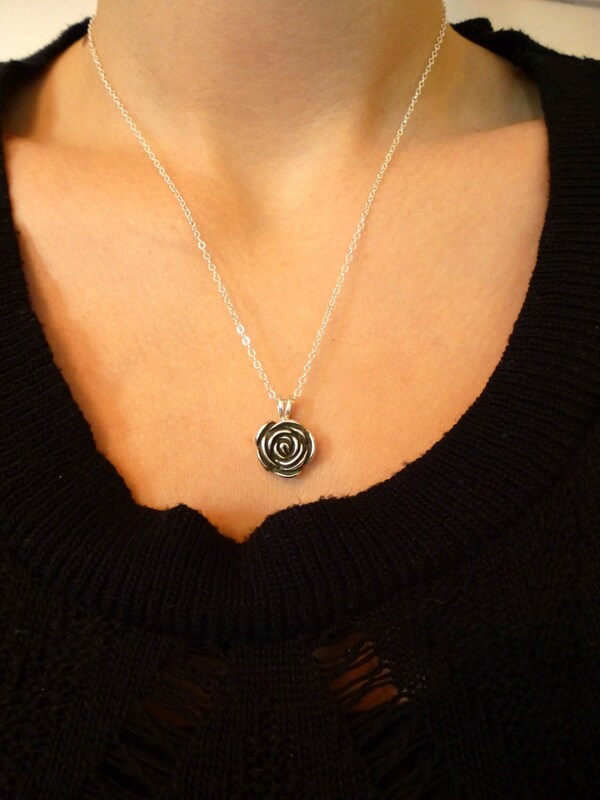 This gorgeous sterling silver rose pendant is the perfect adornment for a romantic soul. 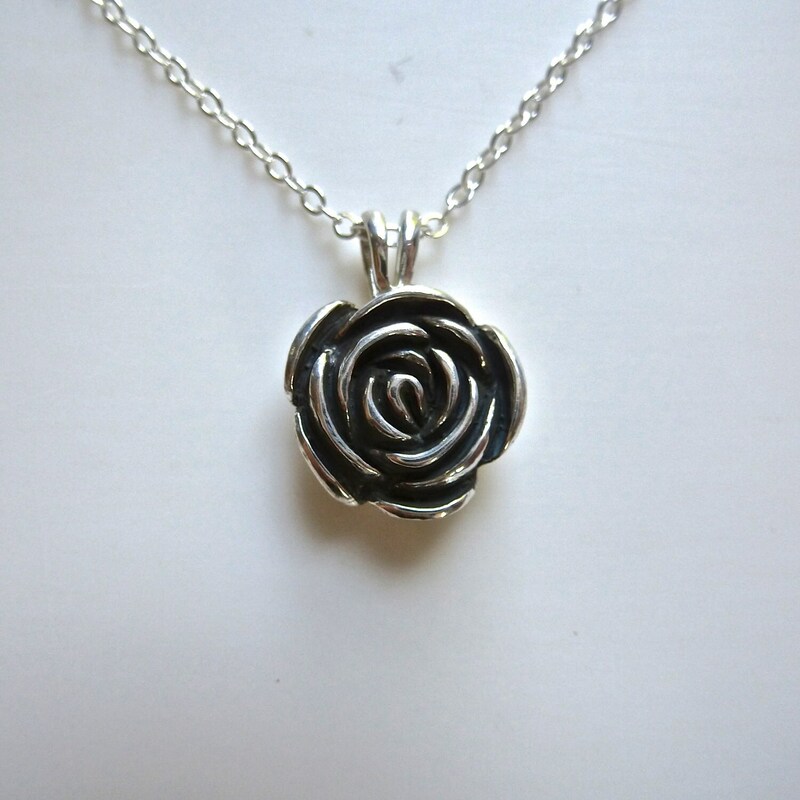 I carved the rose by hand from wax and then cast it in solid sterling silver. 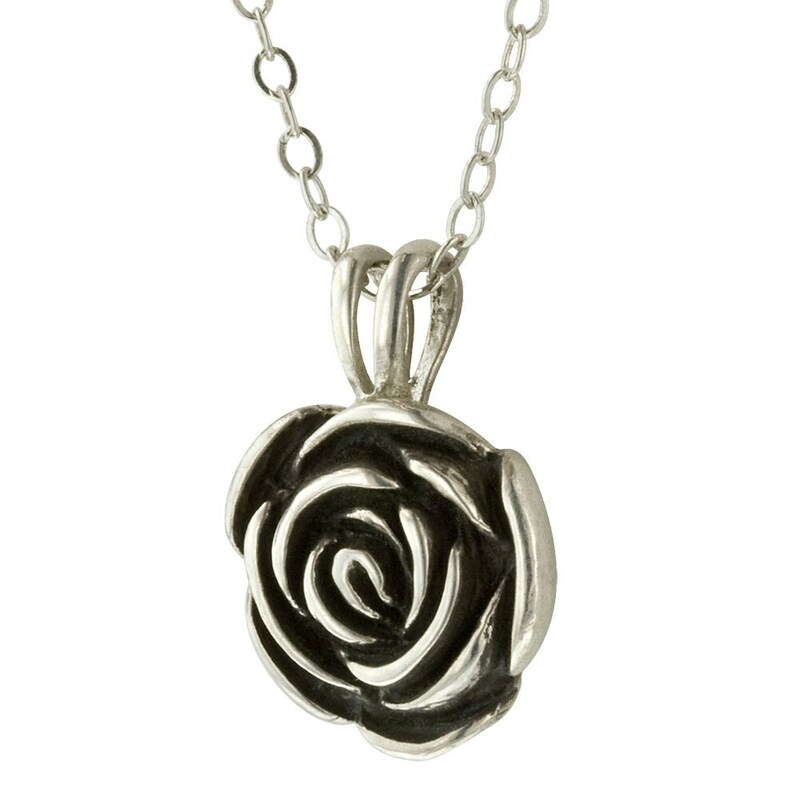 I have polished all surfaces to a mirror finish and oxidized the crevices so that every detail stands out in high relief. 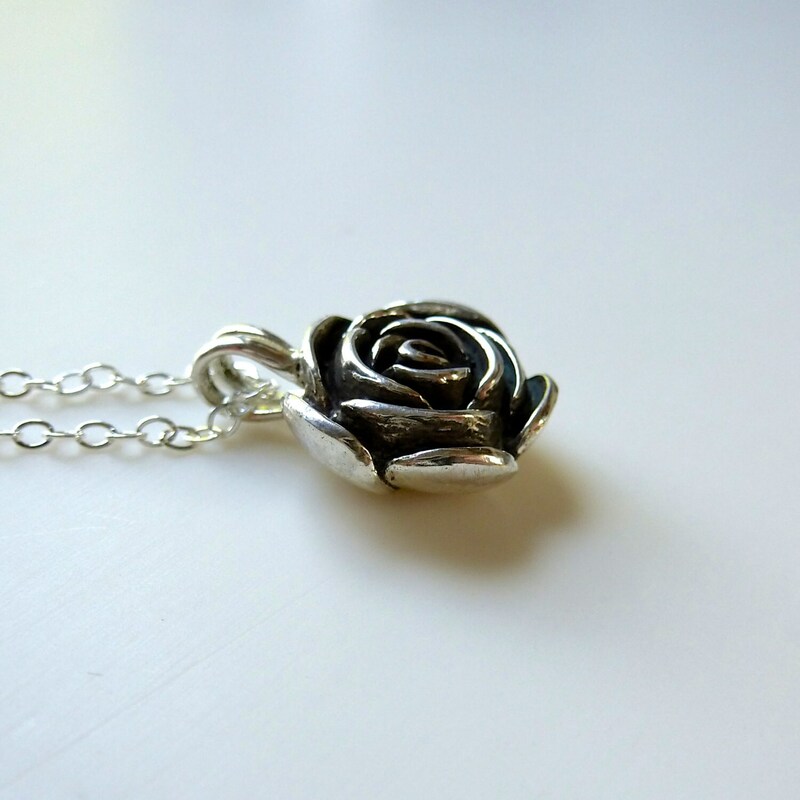 This would be a wonderful gift to a sweetheart. 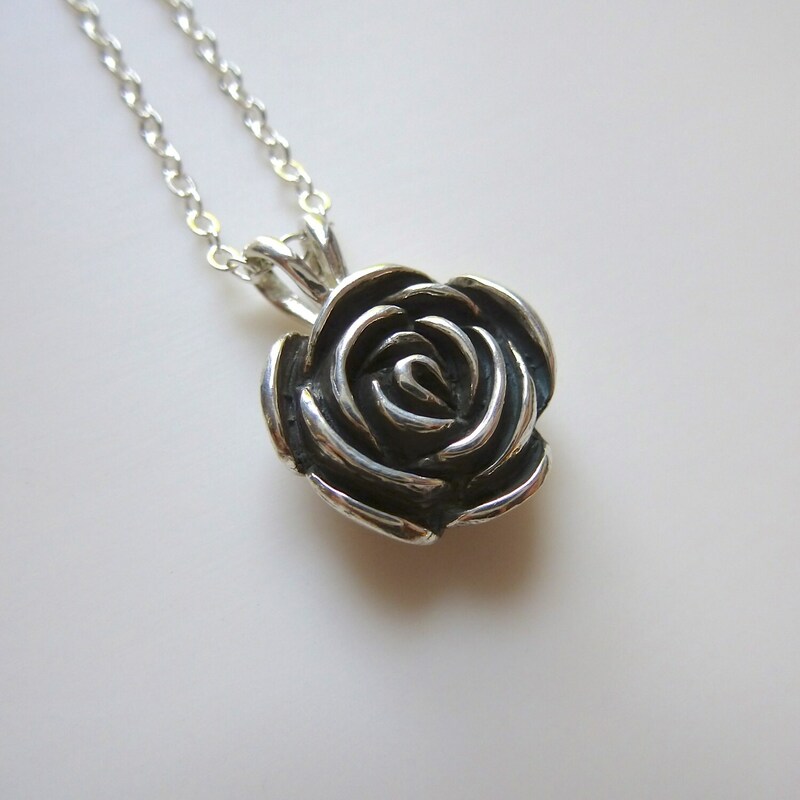 The pendant comes with an 18 inch silver chain. Please let me know if you prefer another length.